This 5-inch plush emoji version of everyone's favorite monster, Elmo, is sure to appeal to Sesame Street fans of all ages. An embroidered wide-open smile and plastic eyes give this plush backpack clip a very modern and unique take on a beloved classic character! 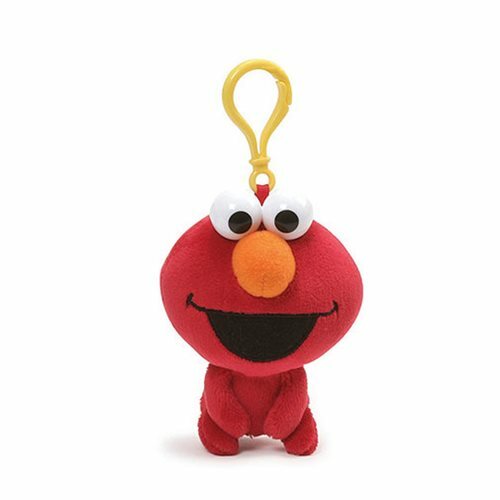 The Sesame Street Elmo 5-Inch Backpack Clip Key Chain includes a plastic clip for secure hanging. Surface washable for easy cleaning. Measures about 5-inches tall x 3-inches wide x 3-inches long. Ages 1 to 4.